Besides Cost, What Are the Other Benefits of Air Sealing? When used correctly, caulking, weatherstripping, foam sealants and other air sealing materials can decrease residential energy costs substantially. This reason alone is enough to make a professional home energy assessment worthwhile. Once air leaks are detected and your home’s thermal envelope is sealed, insulation and controlled ventilation can then be retrofitted to achieve an optimal balance between energy efficiency and managed air exchange. This will result in lower monthly heating and cooling bills, but saving money is not the only benefit of air sealing. Let’s consider some of the others. With excess air leakage, you will often experience cold spots and drafty areas in winter, especially when winds are strong. Air sealing will eliminate these issues and create a consistent, evenly heated indoor space throughout all your rooms. Likewise in summer, your cooling system may deliver uneven performance if heat and humidity are infiltrating too much. Air sealing will take care of this issue for you so that your home is consistently cool and dry during hot seasons. Replacing excess, haphazard air flow with air sealing and controlled, filtered ventilation if needed improves indoor air quality by controlling the infiltration of pollutants and allergens. These include wood smoke, pollen, and even minor annoyances like lawn mower or dryer vent exhaust from nearby homes into your home. Allergies and overall health, especially of those with asthma and other respiratory conditions, will see noticeable improvement with air sealing. Humidity is not only a comfort issue for your home’s inhabitants; it can also affect the condition of your home’s construction over time. Air sealing helps with moisture control so that dehumidification can reach all indoor areas, thus protecting against mold growth and contributing to both human and building structure health. 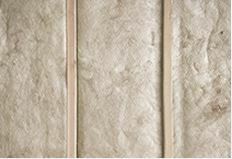 The U.S. Department of Energy likens insulation to a wool sweater and air sealing to a windbreaker. For cold weather with no wind, insulation may be enough to keep your home warm and comfortable, but that’s not a realistic expectation for winters in most states because windy conditions are an ever-present reality. To get the most out of your current insulation or any that you plan to add, air sealing is the crucial first step. What are the cost benefits of air sealing?